I received a copy of this book from the author, with no promise of review. I have to say right off that this is a very strange book. I’m absolutely not saying it’s bad, it’s just strange. In chapter one, I was reading a story about a prince running away & getting captured by robbers, of which of course he falls in love with. In the second chapter, I was suddenly reading about a couple hens about to get slaughtered. At this point I thought I was reading a book of short stories. But back into the 3rd chapter and we’re talking about the prince again, and the hen… who reads auras by the way, who is now part of the prince’s story, and now so is a Ban Sidhe. That just gives you an idea how the book plays. It really stuck out to me even at the end of the book. This is a very twisted tale. The author has a great imagination. The strangeness really draws you in, and you want to find out what happens next. I have to say, I don’t know the story of The Frog Prince, so this is just a paranormal story to me without any background of what’s supposed to happen. I think it’s well written, and the author is a good story teller. The book is fun, and flows fast. 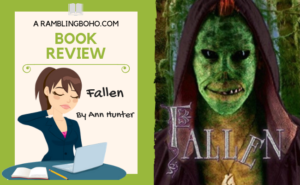 You really need to read the first two books in this series, The Subtle Beauty & Moonlight, before reading Fallen, which I have not. I am going to read the first 2 books, and possibly the one that comes after this, A Piece of Sky. Right now you can read it for free if you have Kindle Unlimited. "One prince. One mistake. One... chicken? 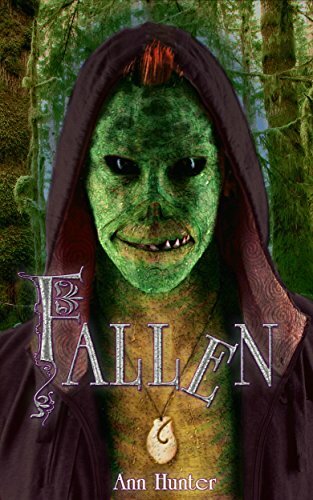 A twisted retelling of the fairy tale, The Frog Prince, featuring your favorite villain from The Subtle Beauty & Moonlight, Sylas Mortas. In this unexpected love story, Happily Ever After may not always begin with Once Upon a Time."